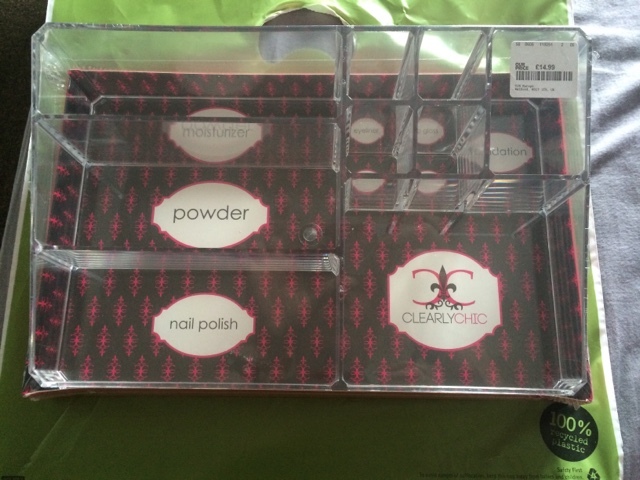 My make up collection is getting bigger and bigger lately so I've been looking for some extra storage. 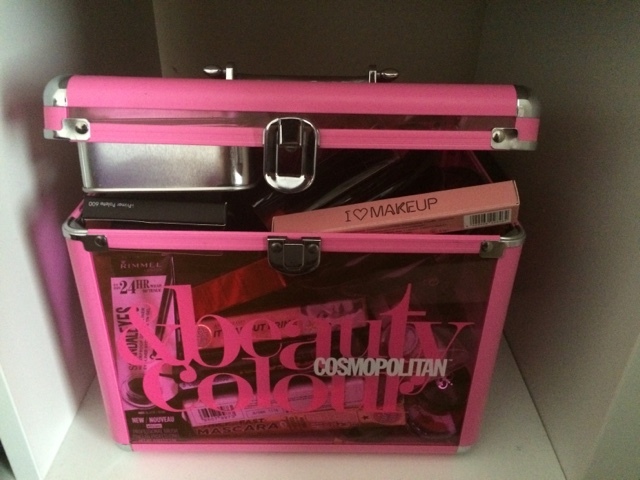 At the moment I'm using a Cosmopolitan vanity case brought from Argos over a year ago! The lid now won't fasten with everything in it. 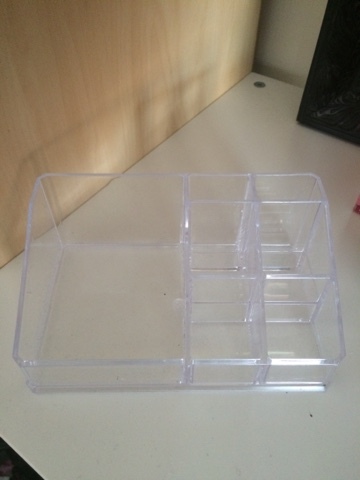 A couple of months ago I brought some small clear plastic storage for some of my make up. 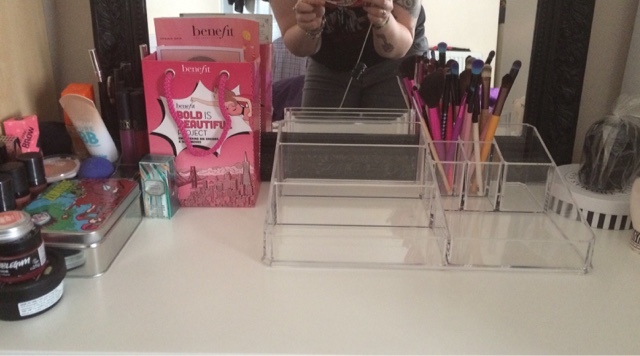 I got a lipstick stand from eBay for around £2.00, a nail polish stand for £1.00 and another small stand for £1.00 both of these was brought from the pound shop surprisingly. The stand brought from eBay arrived broken so that didn't get used; however the pound shop stands are really good quality, the only down fall is there not very big. Can't complain for a pound though. 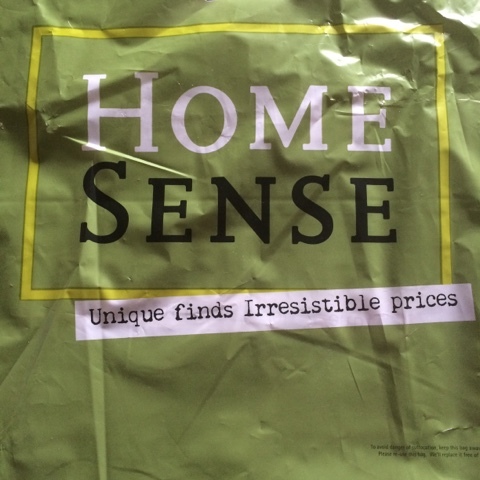 Last week I was in Manchester, I'd seen some small plastic storage in TKMaxx before so thought I'd check out Homesense (same company as TK but just homeware items). 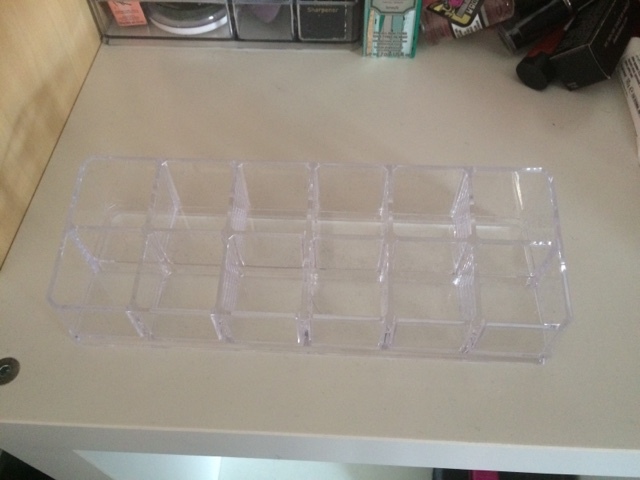 I was happy to discover a whole shelf of make up storage, just what I wanted. My only problem now was choosing which one to buy. After seeing some plastic drawers on eBay I was inclined to find some similar; however the drawer set they had in Homesense was smaller than expected and still wouldn't of provided me with the space I needed. I found more smaller stands that I liked but again was too small and would of meant me buying two. Smaller stands was priced between £6.99-£9.99. These stands was also around the same size as my poundshop ones. On the back of the shelf was some tray like storage and quite big in size too. One was the same height all over and the other was slanted, this one I preferred. The tray storage was both priced at £14.99, which after a quick google for the brand I found was cheap for this size of stand. This stand is gonna fill up a large space on my dressing area but it will also hold a lot of make up including some eyeshadow palettes which I'm a huge fan off and will happily say I'm obsessed with. 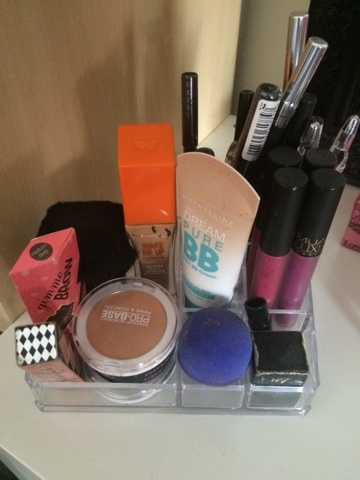 Here's how I've organised my make up and brushes in the stand. Think il still be using the smaller stands as well for now. 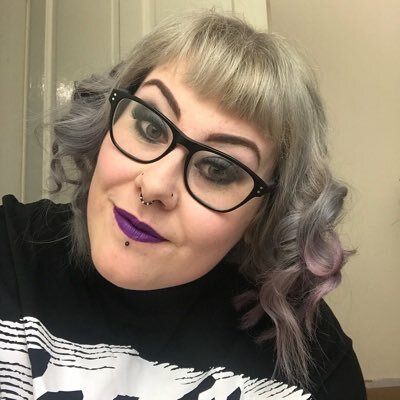 I'm so pleased with this find and although £14.99 is quite a lot this was still a bargain for the quality and space I've gained for all my loved make up! 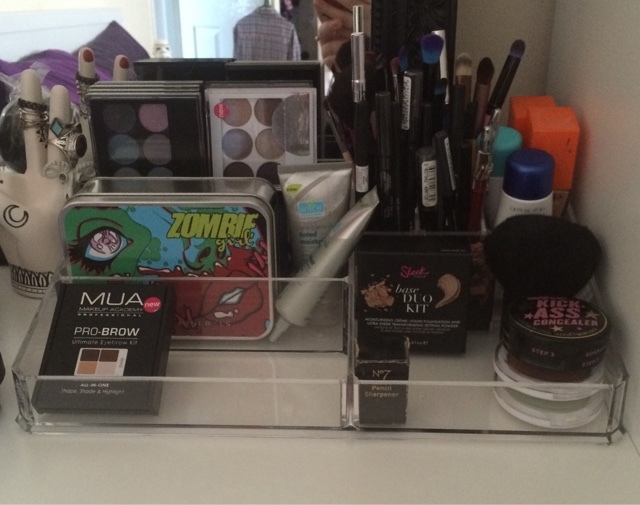 How do you store your make up? Any tips on storage?